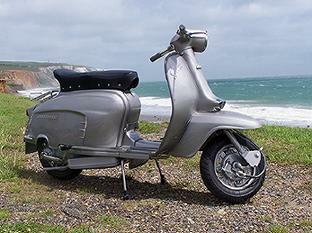 Welcome to Lake Lambrettas for all your Lambretta scooter spares support on the Isle of Wight. I carry a comprehensive stock of Lambretta Series 3 and GP spares. I can source S1 and 2 parts, please phone with your requirements. Parts not currently in stock can be obtained within a couple of days. All parts stocked are of excellent quality. Scootopia branded parts are remade by them to Innocenti drawings and are of comparable, if not better, quality than the original. Need parts for a scooter other than a Lambretta? Visit the VE Supermarket, find the part, order it and have it delivered directly to your home or workplace.